That MOT Testing time of year again? Looking for an MOT Test Station in South Leicestershire? We use industry regulated equipment for car MOT's to ensure that the results are precise and your car is thoroughly examined. 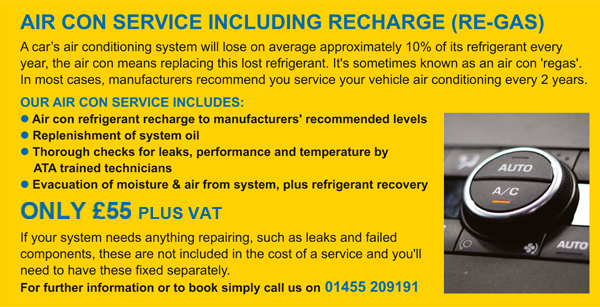 An MOT costs £45 with a service and £50 without a service. How Long Will An MOT Test Take? Your MOT Test will take from 45 minutes to 1 hour. So either, drop your car off and we'll let you know as soon as it's ready or stay in our comfortable reception area. We keep a wide range of parts in stock, so any minor remedial work like bulb or tyre replacement can be done straight away. We'll then do a re-test. For more significant work, our friendly mechanics will give you help and advice as we can find an affordable solution for you. 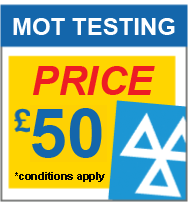 MOT re-tests are free if returned for testing within 10 days.